Bray Scofield is an agent with the Consular Operations of the State Department. This two-book series sometimes goes by the name of the evil organization Scofield opposes, largely because the name is in both titles. The Matarese refers to an extremely secret cabal dedicated to bring chaos to the world's governments so that the group's people might step in and rule in their stead. The organization got its start in the early 1910's when a rich Corsican, learning that jealous men around the world had conspired to break him, resulting in considerable loss of money and the death of his two sons, set out on a mad scheme for revenge. Selecting several influential, and also 'victims' of his enemies, he presented his plan, gave them the remainder of his riches, and then promptly had himself killed. Sixty some years later, the work of the descendants have brought the world to the brink of anarchy and war. A major part in their latest action involves assassinations done by them but implicating the best agent from both the U.S. and the U.S.S.R. Unfortunately for the Matarese, neither of these agents take kindly to being framed and both greatly resent the trumped-up charges leading to orders for their deaths. Bray Scofield is the American agent being victimized and it is he who is the main focal point of the series. He shares billing, however, with two other characters. Taleniekov is the Soviet agent who, in the first chronicle, teaches Scofield of the existence of the Matarese and fights alongside him to vanquish the group's leadership. Cameron Pryce is the CIA agent who, twenty years later, brings Scofield back into action when the remnants of the Matarese. Interestingly, many references to both books on the web put Scofield in the employ of the CIA, which he is not. He is, however, the key agent for a hush-hush division in the State Department, set up initially to assist diplomats and now a small but still important part of the Intelligence community. Two prominent world figures, a Soviet and an American, are assassinated and evidence points to two key operatives as the culprits and orders for their removal go out. That is when these two fall guys, the bitterest of enemies, begin to work together to take down the Matarese. One of them is Bray Scofield. Twenty years before, the Matarese was destroyed, or so Bray Scofield thought. Now a brash CIA agent arrives at his Caribbean retreat with word that the cabal is back in action. About to send the agent away, Scofield sees the Coast Guard cutter that brought him explode and Bray knows the Matarese have found him. 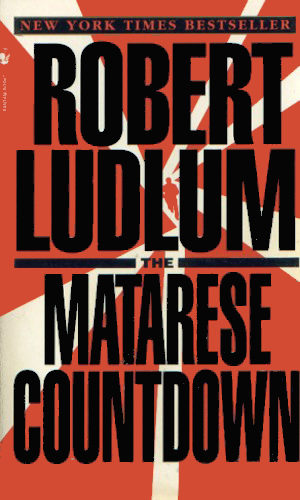 It is just not possible, in my opinion, to not love Robert Ludlum. Still, there are a fair number of critics who have gone to great lengths to denigrate his works, for which I'm sure he suffered little. It is easy to see why they criticize him - he was fantastically successful. Critics for the most part hate mass-market successes. I, on the other hand, figure that his phenomenal success might be related to the fact that he crafted dynamite stories that hooked the readers and didn't let go for 500 pages. He wrote sagas that made you know and like the main characters and want to see them succeed. He gave the audience bad guys who are obviously evil deserving of being vanquished. One of the biggest complaints I've heard about Mr. Ludlum's books is the nature of his bad guys, to whit, they are not three-dimensional. They are too black-hat and not enough gray. 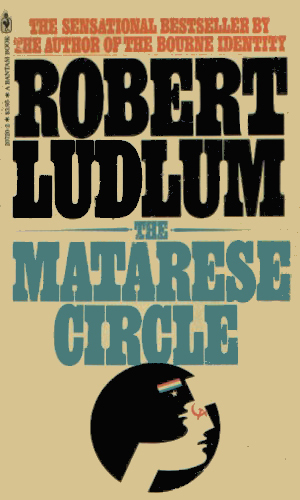 Still, in a world that gave us Saddam Hussein, Osama Bin Laden, Pol Pot, Idi Amin, and so on and so on, to say that evildoers like Mr. Ludlum created don't really exist makes me doubt the eyes of the critics who make such complaints. I think Robert Ludlum was one of the greatest writers of spy fiction and of international intrigue that the world has ever had. I mourned the day he passed away.